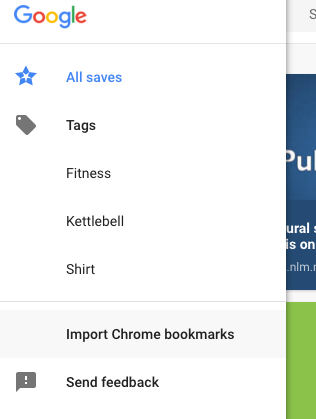 If you install the "Save to Google" extension for Chrome, you can now import your Chrome bookmarks into the Google Save site. Just open the sidebar menu from the Google Save site, click "import Chrome bookmarks" and wait a few minutes until all your bookmarks are saved online. Reload the pages and you'll see all of your Chrome bookmarks next to the pages and images you've previously saved. Folders and subfolders are converted into tags. Let's assume that the folder "Google" has a subfolder called "Blogs". The two folders are converted into two tags: "Google" and "Google > Blogs", while the bookmarks from the "Blogs" subfolders get both tags. For now, there's no way to sync Google Save with Chrome bookmarks and the Bookmark Manager extension doesn't integrate with Google Save, even if they're closely related. I don't understand the need to save my bookmarks in Google Save if they're already in my Chrome browser and synced on all my devices. 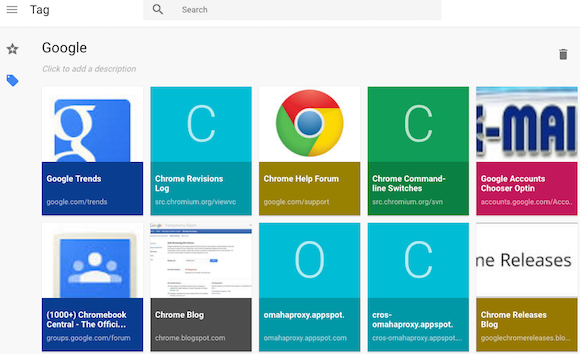 Just curious to what the advantage is to copy Chrome browser bookmarks to Google Save? If you are signed into Chrome browser, then all of your bookmarks are made available no matter if you got yourself a new computer or has to reinstall the browser for some reason. Just trying to understand the use case. What if you're on a machine without Chrome? Dude, stop spamming this. I have over 800 bookmarks and none of them are on the site you linked. Whether there is a need or not, I like the idea of a page like this. The bookmark bar isn't as nice for me to use because it gets crowded. The same goes for extensions. PK Domain is a leading web hosting company to provide high performance web hosting. PK Domain is using best available technology to help our customers, if you want to develop your own hosting business we are your support center. From www.pkdomain.com.pk you can get free domain to give your business an online presence. we are offering shared hosting, dedicated servers and Reseller Hosting in Pakistan. With PK Domain you get 99.9% uptime on all hosting packages.